Sign Up For the Wedding Ideas Newsletter. 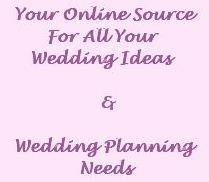 Wants to find places online to shop for all your wedding needs! As a special thanks to our subscribers, we are offering a free wedding planning ebook - Wedding Savings Revealed. To access the ebook all you need to do is subscribe to the newsletter and you will get a link to this helpful ebook once you confirm your subscription. This ebook contains over 50 pages of helpful suggestions to help you save money while planning your wedding as well as a list of shopping resources at the end. I promise to use it only to send you Wedding Ideas Newsletter.